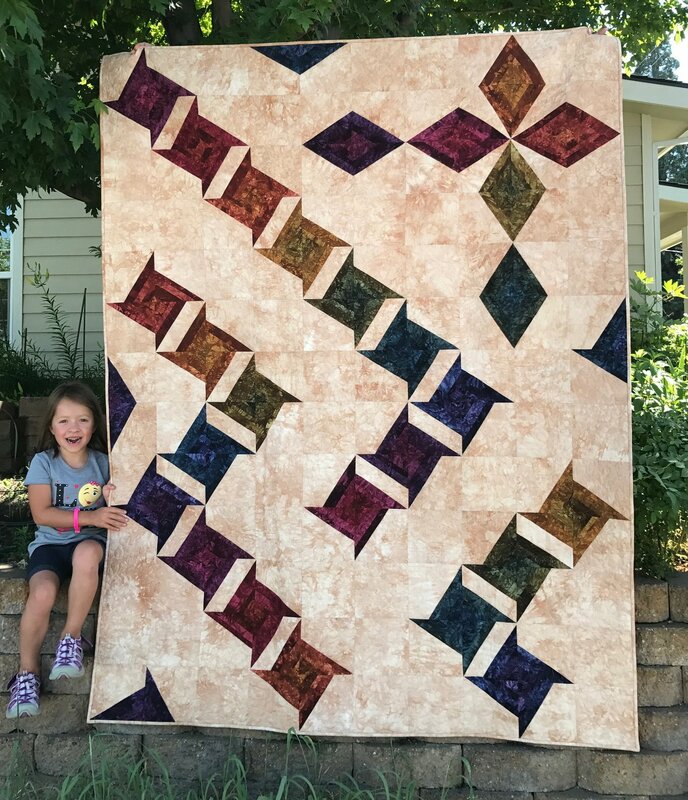 This quilt is designed by our friend from Canada at PatternWorkz, Joanie Morrow. We have used one of our Dye-It Bite 30 packs, Antique Treasures and a warm background. The pattern comes with a template that is very handy for making the proper angles. This quilt finishes 60" x 78". If you prefer a larger size, consider purchasing 2 kits.